Johnstone Court was built in 1925 by Winifred Lilian Johnstone (1862-1946). She was the widow of William Johnstone, who had been born in Terang, made money on the New South Wales opal fields and returned to Terang and purchased the Commercial Hotel in 1903. William died later the same year and Winifred operated the hotel until she sold it in 1923. In 1925 she purchased an old building in High Street, but the whole block was razed by fire shortly afterwards. 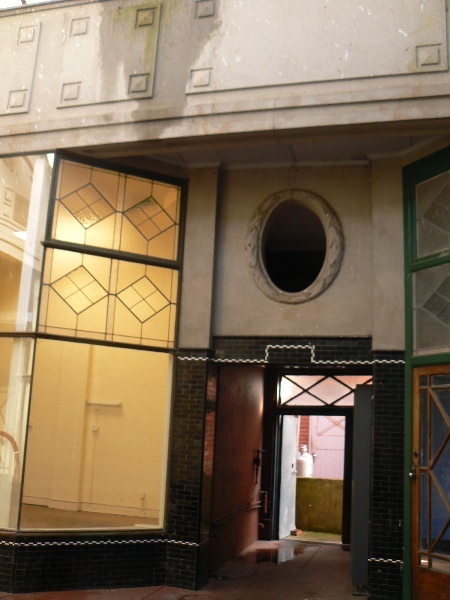 She commissioned the prominent Camperdown architect Warburton Perry Knights to design the new arcade, which was constructed by the Terang builders McQueen and Schabel. It was described at the time as the largest block of shops and the most up-to-date business premises in the Western District. The Court housed the local office of the State Electricity Commission of Victoria, which assumed responsibility for electricity supply in Terang in March 1924. Other shops were occupied by a grocer, a baker, a draper, a jeweller and an estate agent. The upper floor contained residences and workshops for the shops below. The CWA later operated a dining room in the upper section. Johnstone Court is a symmetrical brick building, with rendered decoration on the upper level, which extends more than forty metres along the main street of Terang. At the first floor level are three bay windows, in the centre and at either end, with a pediment above the parapet above each one. Along the High Street elevation is a cantilevered verandah with a Wunderlich ceiling. There were nine shops, six facing High Street and three facing the internal courtyard. 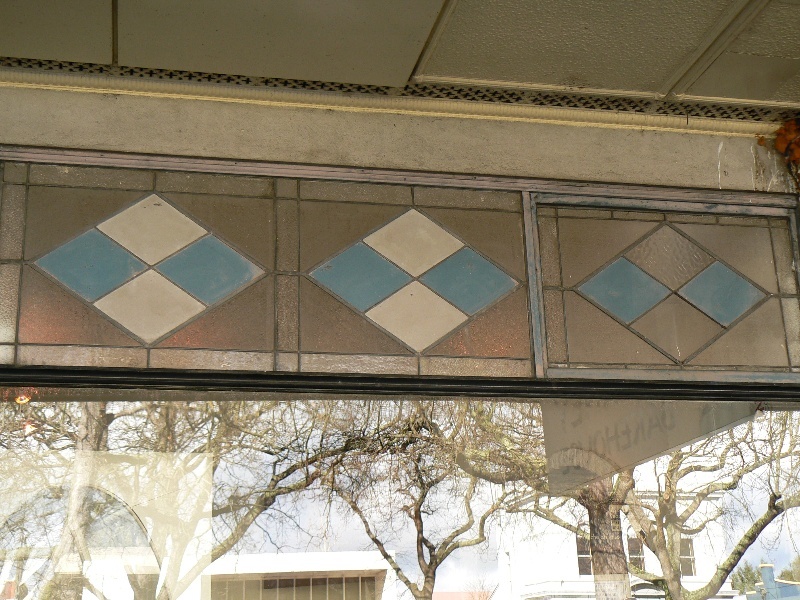 The shop fronts are almost entirely intact, with their original glazed tiling, display windows and lead-lighting. 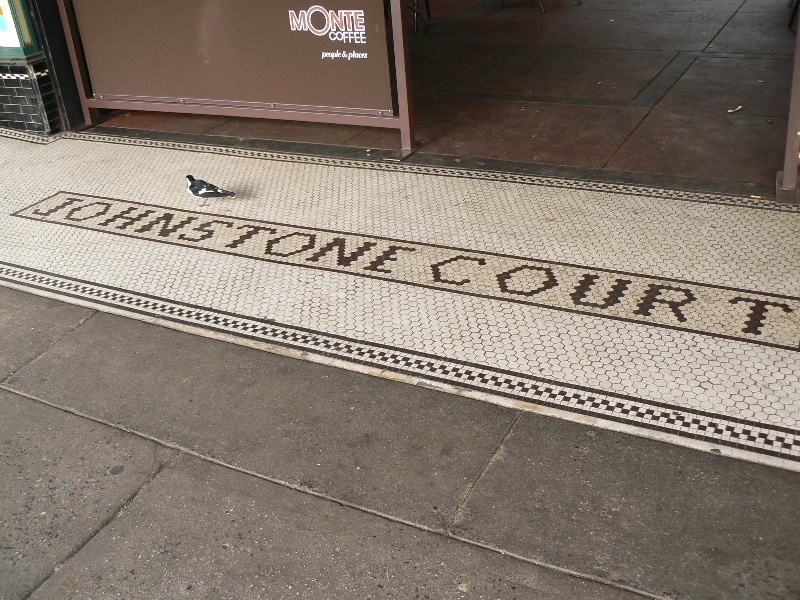 Between the centre shops is the entrance to the internal court, with mosaic tiles on the floor spelling out the letters 'JOHNSTONE COURT'. Inside the entrance are gates, which fold into boxes on either side (now permanently open), and two staircases leading to the first floor. 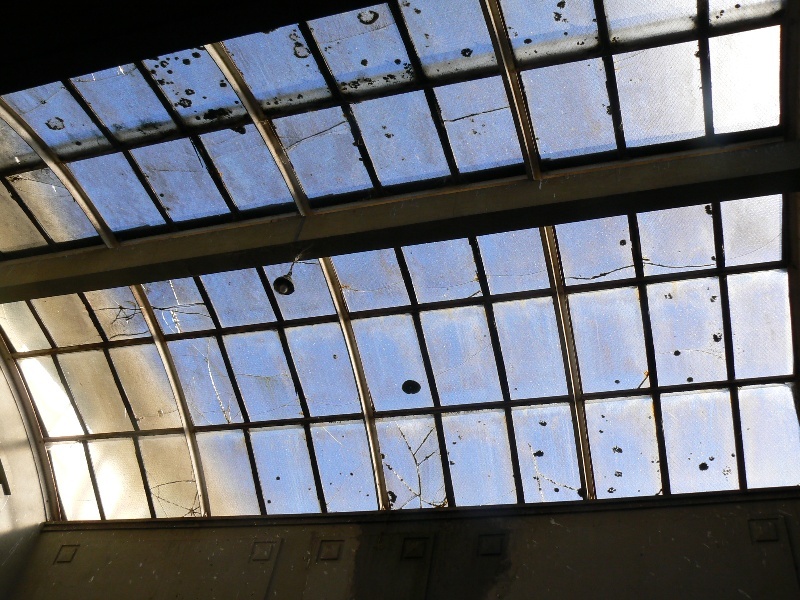 The interior court is covered by a glazed barrel vault. The upper walls beneath the vault are adorned with decorative cement work. At the end further from the street, above where the SEC offices were located, is written 'STATE ELECTRICITY COMMISSION OF VICTORIA'. Under the vault opposite this is written 'JOHNSTONE COURT' and there are three plaques noting the initials of the owner (WLJ) and the names of the architect (W P KNIGHTS ARVIA CAMPERDOWN) and builders (McQUEEN SCHABEL TERANG). Johnstone Court is of architectural and historical significance to the state of Victoria. 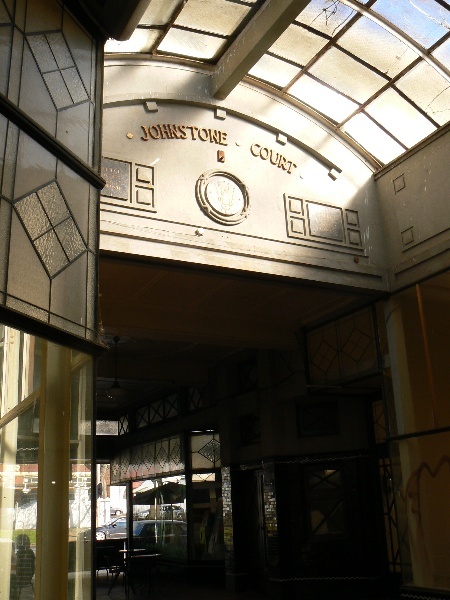 Johnstone Court is architecturally significant as an outstanding and remarkably intact example of an early twentieth century shopping arcade. It is a fine and intact example of the substantial commercial buildings constructed in provincial towns, and especially in the wealthy Western District, in the inter-war period. It is significant as a fine example of the work of the prominent Camperdown architect W P Knights, who was responsible for many notable buildings in western Victoria in the early decades of the twentieth century. 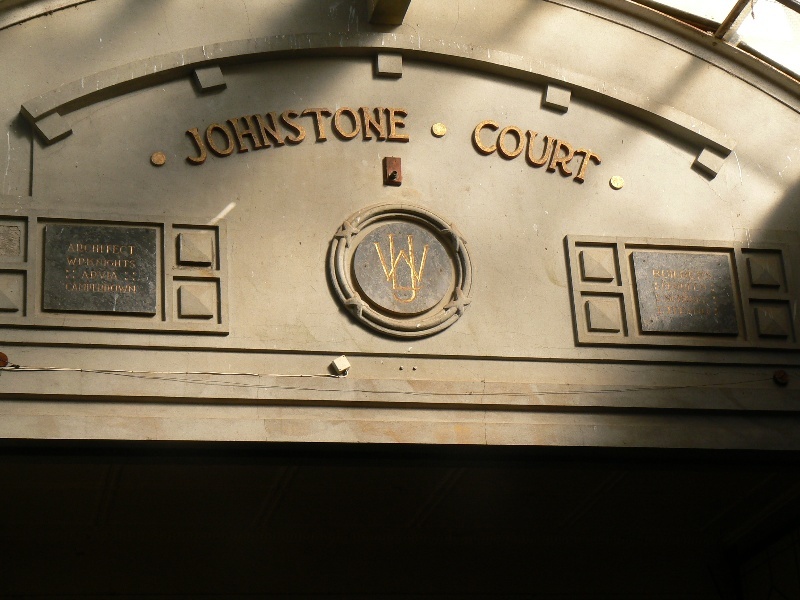 Johnstone Court is historically significant as a demonstration of the wealth of country Victoria, and particularly of the Western District, in the 1920s. It also a reminder of the period, after the formation of the State Electricity Commission of Victoria in 1919, when the Commission began to take over the responsibility for power production from local authorities throughout the state. 1. All of the land marked L1 on Diagram 2216 held by the Executive Director, being all of the land described in Certificates of Title Volume 10170 Folios 664 to 676, plus the road reserve to the width of the verandah. 2. All of the building B1 on Diagram 2216 held by the Executive Director. Terang is an important town in Victoria's wealthy western district. The first sale of allotments occurred in Terang in 1855. Four years later there were four buildings: two slab huts, a slab store and a carpenter's shop. The first post office opened in 1859, either in the store or the carpenter's shop. A rough wooden schoolroom and the town's first hostelry were erected in the same year. The early 1860s saw the construction of a racecourse and the establishment of the Wheat Sheaf Hotel, still in existence. A regular coach service from Geelong to Warrnambool commenced in the 1860s stopping en route at Terang's Commercial hotel, and the 1870s saw Cobb & Co. commence a regular service between Warrnambool and Camperdown. The Camperdown - Terang rail link was opened in 1887 with the line extended to Warrnambool and Mortlake in 1890. As selectors moved in from the 1860s and the large sheep and cattle stations were broken up for closer settlement, wheat was grown and a flour mill was established just outside the town. Dairy farming emerged later in the century when the Noorat and Keilembete estates were broken up. 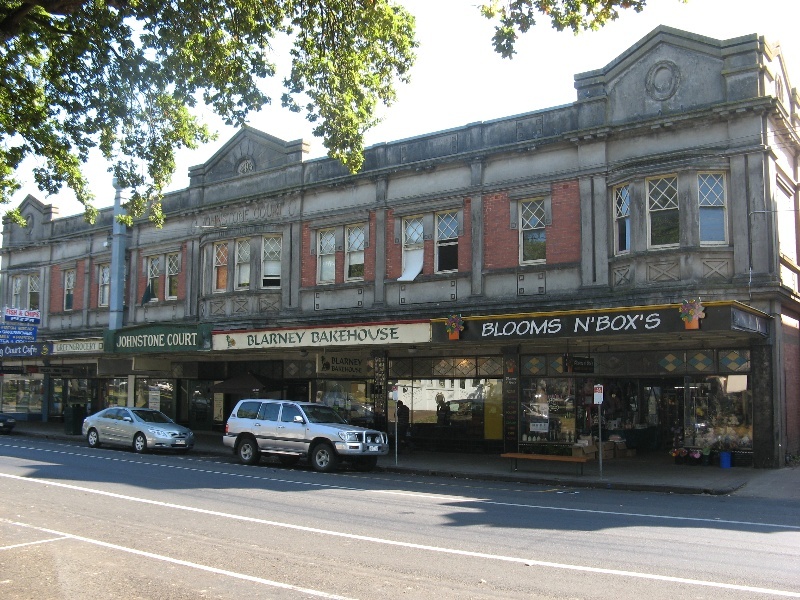 Terang thrived during the early twentieth century as a service centre for the surrounding farming district. The term arcade refers to a narrow pedestrian-only street, usually roofed and with shops on either side. The shop window, the arcade and the general store all appeared in Europe between 1800 and 1830. The first shopping arcade was the Burlington Arcade in London was opened in 1819, followed by several in Paris from 1825 and the famous Galleria Vittorio Emanuele II in Milan followed in the 1860s. Other large cities created arcades and shopping centres in the late 19th century and early 20th century. 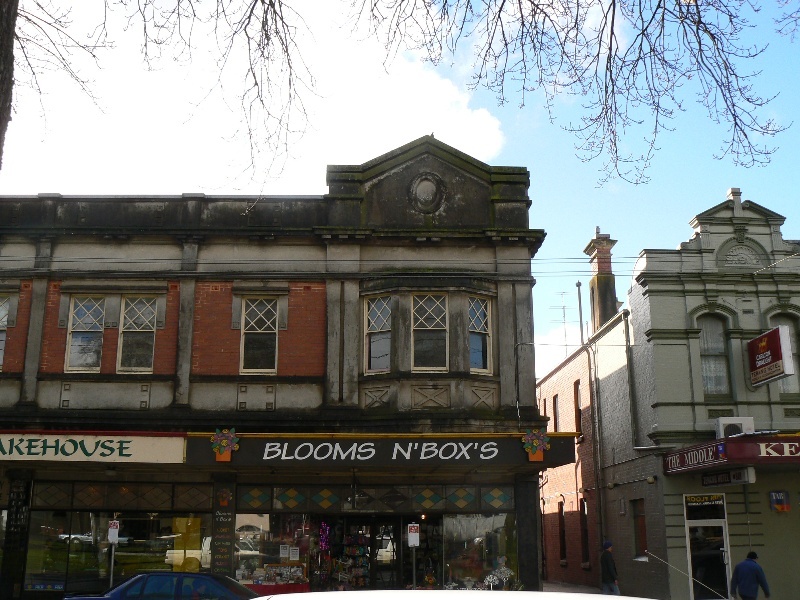 In Melbourne notable nineteenth century examples are the Royal and Block Arcades. 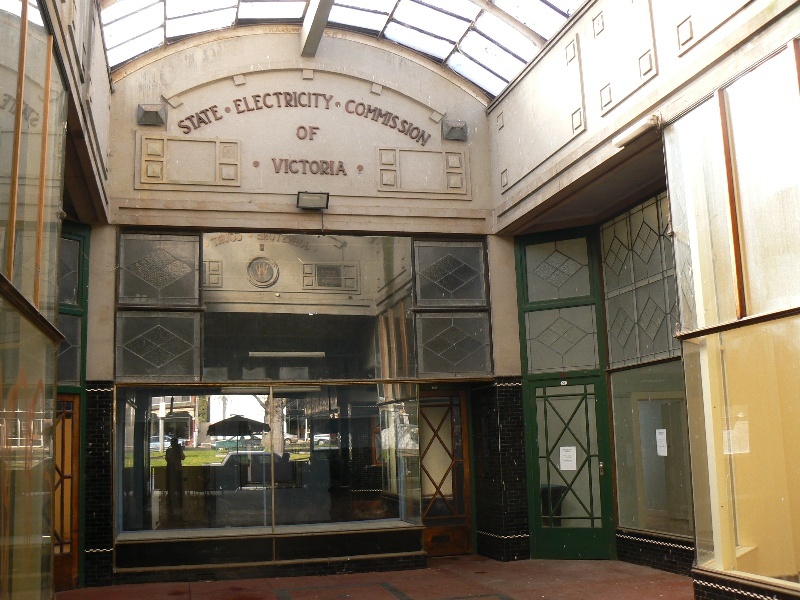 Electricity in Victoria was first produced by individual companies and local councils. Electricity in Terang had been since 1909 by means of a gas engine owned by the Council. The SEC was created in 1919, and divided the state into districts: metropolitan, Eastern Metropolitan, Geelong, South West, Midland, Ballarat, Bendigo, North East and Gippsland. The SEC's scheme for supplying electricity to the south-west was the first scheme developed by the Commission for transmitting energy to country towns. It was at first proposed that a steam power plant be constructed at Lake Gnotuk near Camperdown to provide power to Camperdown and Terang, and to other nearby towns, but this was abandoned and the SEC developed a scheme for transmitting energy from Geelong. The Commissions assumed responsibility for supply within the area in 1924, Camperdown being taken over in January and Terang in March. W P Knights was a prominent Camperdown architect who won many commissions in the Camperdown district in the first decades of the twentieth century. He is known to have practised in Camperdown as Crawley & Knights from at least 1906 (Australian Architectural Index), and designed many of the town's notable buildings. Amongst other projects in Terang he designed Doyle & Kerr's building, a very early example of concrete block construction in Victoria, in 1906. He became an Associate of the RVIA in 1921. Johnstone Court was built in 1925 by Winifred Johnstone (1862-1946), who had been born in Geelong. In 1893 at Wilcannia, NSW, she married William Johnstone, who had been born in Terang in 1864. For some time the couple operated a hotel at the opal mining settlement of White Cliffs near Broken Hill, and it is said that Johnstone made his money from opals. Winifred and William purchased the Commercial Hotel in Terang in 1903, but William died in the same year: lost at sea between Cape Town and Tenerife en route to England. Mrs Johnstone became the proprietor of the hotel which she continued operating for the next twenty years, selling it in 1923. In 1925 she purchased a large property further up High Street, which burned down shortly afterwards. She built Johnstone Court to replace the old building, and the tenants of the old building were accommodated in the new one. In High Street Terang, the largest block of shops in the Western District is now being erected to the order of Mrs W Johnstone, on the site of an historic old building which dated to 1864. As is generally known ground in the locality is unfavourable for building purposes, and every precaution has been taken to ensure that the new building will stand on its own feet. Great pits have been excavated down to the sandstone, to accommodate piers of reinforced concrete, and the whole structure will rest on a bed of the same material. Johnstone Court, as the building very appropriately has been named, is being constructed of brick. It has a total frontage to high Street of 132 feet, will contain nine very commodious and well-lighted and well-ventilated shops, six of which are to face High Street, and the remainder a central court, measuring 16ft 6in in height by 64 feet in depth. A glass [vault] designed to harmonise with the remainder of the building, will extend over the court, and the buildings have been so arranged that the court may continue through into Bayne Street in the future, when it should be a very great convenience to the shopping public. In addition to the shops, two suites of offices are located on the ground floor, with entrances from the rear corners of the court. One of these, to be occupied by Mr D E Trickett, solicitor, consists of waiting room, clerk's office, main room and strongroom. Four handsome staircases, two of which are approached from the court, will lead to the upper floor, where flats, offices, and [rest ?] rooms are provided for the tenants. The shop adjoining Messrs Montgomery and Bradshaw's, which has a [depth?] of nearly a hundred feet, will be occupied by that firm, as their previous premises are found to be too small for their increasing business. Openings will be made through the walls, and fireproof doors will be provided to connect with Messrs Montgomery and Bradshaw's own premises. 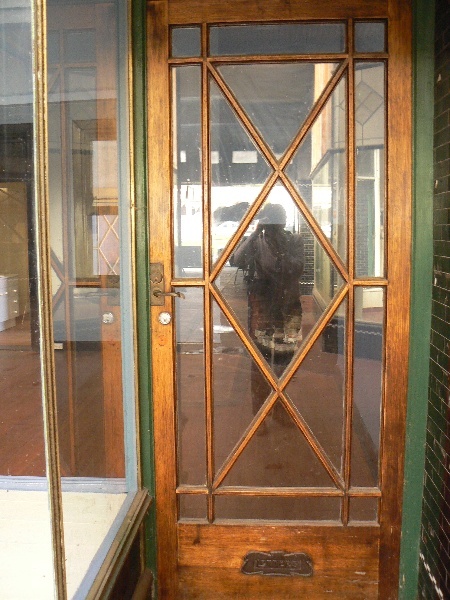 The next shop, measuring over all about 24 feet by 95 feet, will be occupied by Mr H Anderson, baker and confectioner. A cellar extends under the front portion of the shop to give ample accommodation for and easy access to the cool drinks that are so refreshing in the hot summer months. At the rear of the shop, with entrances both from the shop and from the court, provision is made for a handsome tea room, the walls of which are to be panelled with Tasmanian hardwood. The tea-room should be a favourite resort in the afternoons. During the summer months the court, decorated with palm and tree ferns, will be used as an annexe to the cafe, and refreshments will be served there in the evenings, while patrons listen to the strains of a jazz band and watch the younger set enjoying a dance in the court. In connection with the tea-room, a spacious, well-lighted kitchen, pantry, offices and retiring rooms have been have been provided, and the comfort of the public has been studied in every way. Mr Anderson's living rooms will be on the first floor, immediately above the first two shops. The shop adjoining Nehill's hotel, measuring 24 feet by 68 feet, with an extensive glass front, will be occupied by Mr E F Harvey, men's draper. Above this shop, provision has been made for two large workrooms, enabling business to be carried on under ideal conditions. Adjoining is another shop 16 feet wide and possessing also a depth of 68 feet. Two elegant shops will flank the court on either side, each having a double set of show windows, one facing High Street and the other overlooking the court, with a doorway inbetween. Of the three shops which are actually within the court, one is placed on either side and the other at the rear, with an outlook towards the street. 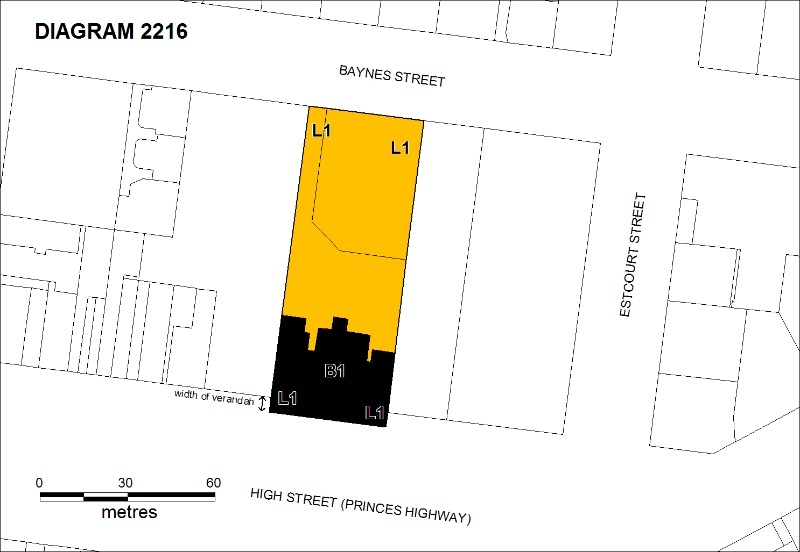 Other former tenants who have secured premises in the new building are Mr H W Hortle, jeweller, and Mr H P Ince, estate agent. All the shops will be fitted up with plate glass windows, marble steps to the entrances, tiles piers with mirrors, and pier cases to show the goods to the best advantage. Along the whole of the front there will extend a cantilever verandah, the ceiling of which is to be supplied by Wunderlich Limited; while a balcony will be provided along the full length of the building at the rear. Ample provision has been made for water supply and the whole of the premises will be sewered. Ladies' retiring rooms will be located in the arcade. Although almost severely plain, the building as a whole will present a handsome, dignified, and businesslike appearance, and will be a further ornament to that portion of High Street which, from the Savings Bank to the Co-operative Stores, contains many buildings that compare favourably with any in the district. As the architect's drawing indicates, the ground floor frontage will be composed almost entirely of glass, while the first floor front will be given a picturesque touch by the insertion of three large bay windows, one in the centre and one at either end. The upper frontage will contain altogether nine windows. Mrs Johnstone is to be congratulated warmly upon her enterprise. She is certainly providing Terang with the most up-to-date business premises in the district. It speaks very highly for her public spirit, also, that she elected to place the work locally. Having prospered in Terang, she is anxious that Terang should benefit. The contractors are Messrs Macqueen and Schabel, and their names are a guarantee that the work will be carried out faithfully, giving much local employment for the remainder of the year. The architect, Mr W P Knights, of Camperdown, is also practically a local man, having lived in the district for many years. His work is well known in the district. An important tenant in the Court was the local office of the State Electricity Commission of Victoria. The SEC was founded in 1919, and The Commissioner assumed responsibility for supply within Terang in March 1924. It is likely that the local SEC office was one of the original tenants, and its name is noted beneath the vault at the northern end of the courtyard. 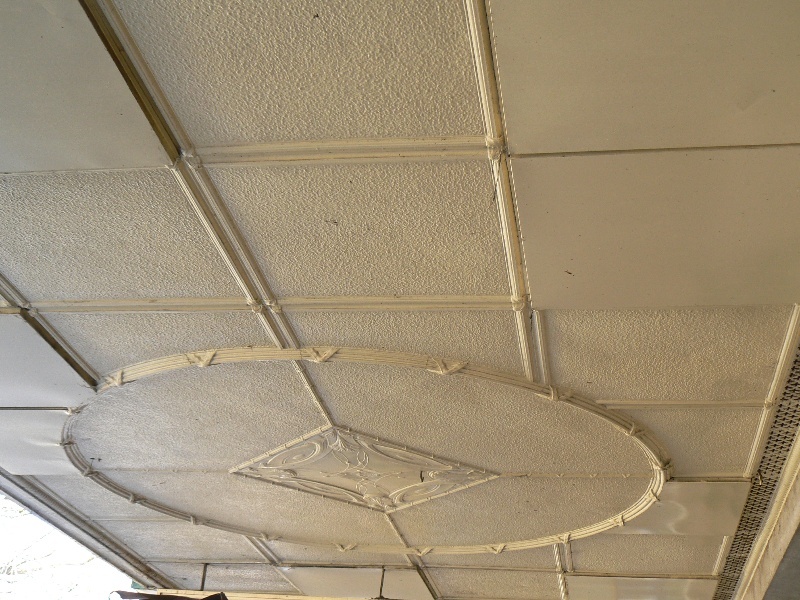 According to the president of the Terang and District Historical Society, the CWA operated a dining room in the upper section, which was particularly popular on Mondays when the horse and cattle sales were held. He also notes that the court could be closed off at night by means of gates which retracted back into 'boxes' on either side of the entrance. These are extant, but are no longer used, which means that the court is vulnerable to vandalism. Johnstone Court is a demonstration of the wealth of country Victoria, and particularly of the Western District, in the 1920s, and of the shopping habits of Victorians in the early twentieth century. It also a reminder of the period, after the formation of the State Electricity Commission of Victoria in 1919, when the Commission began to take over the responsibility for power production from local authorities throughout country Victoria. 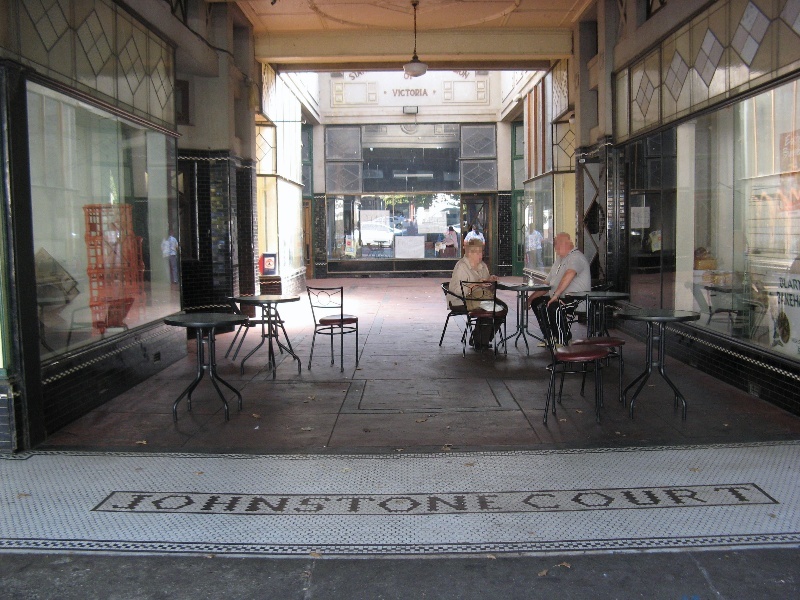 Johnstone Court is an outstanding and remarkably intact example of an early twentieth century shopping arcade. It is a fine and intact example of the substantial commercial buildings constructed in provincial towns, and especially in the wealthy Western District, in the inter-war period. Johnstone Court is a fine example of the work of the prominent Camperdown architect W P Knights, who was responsible for many notable buildings in this part of country Victoria in the early decades of the twentieth century. 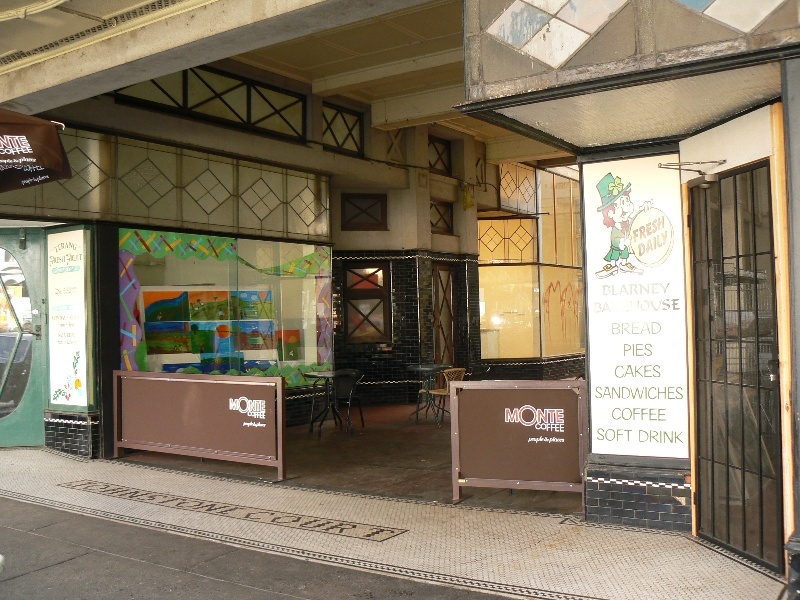 This outstanding inter-war shopping arcade was designed for Winifred Johnstone by the Camperdown architect W P Knights, and was built in 1925 by McQueen & Schabel. It then housed the local office of the State Electricity Commission. The extent of registration protects the whole site. The significance of the place lies in its rarity and intactness as an early twentieth century shopping arcade. All of the registered building is integral to the significance of the place and any external or internal alterations that impact on its significance are subject to permit application. It is noted that the gates which were once closed at night to prevent vandalism of the courtyard area are extant, and it is recommended that these again be closed at night.